Key metrics & benchmarks, distribution insights, content formats, engagement on social, and overall best practices. Lastly we highlight some great work we’ve seen in market. While these aren’t campaigns we’ve measured, they align with our best practices and we hope you’ll find some inspiration in them. The most valuable indicators of successful campaigns are Attention Minutes, Engagement, Avg. Scrolled and Earned Impressions Ratio. Engagement (Social): Beauty campaigns generally have a low engagement ratio (13.7%) compared to the overall benchmarks (18.4%). Earned Impressions Ratio: Beauty campaigns have a 51.7% earned impression ratio, which is slightly above the overall Nudge benchmark of 51.3%. Attention: People spend an average of 0.9 attention minutes on Beauty branded content, 12.5% higher than the average benchmark, across all categories. Conversion ratio: 0.5-3% Conv. Ratio over 60-90 days. The content formats are relatively diverse compared to other industries, including slideshows, lists, interactive content and videos. Photo lists and slideshows are the most common formats, and videos are widely used for makeup tutorials. 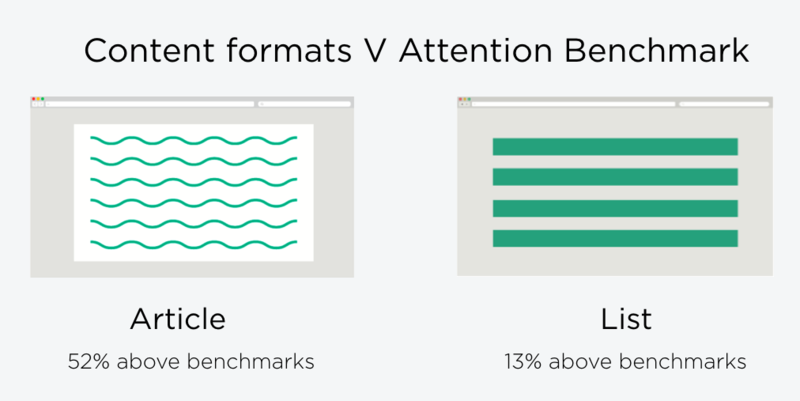 However, looking at the Nudge data, it’s clear that there are two formats that perform better than the rest: Articles (52% above benchmarks) + Lists (13% above benchmarks). Traffic by device: Mobile 53%, Desktop 38%, Tablet 9%. Mobile drives the most traffic and the second highest average attention. Tablet has the highest average attention but has thus far not been used to drive traffic to great extent. 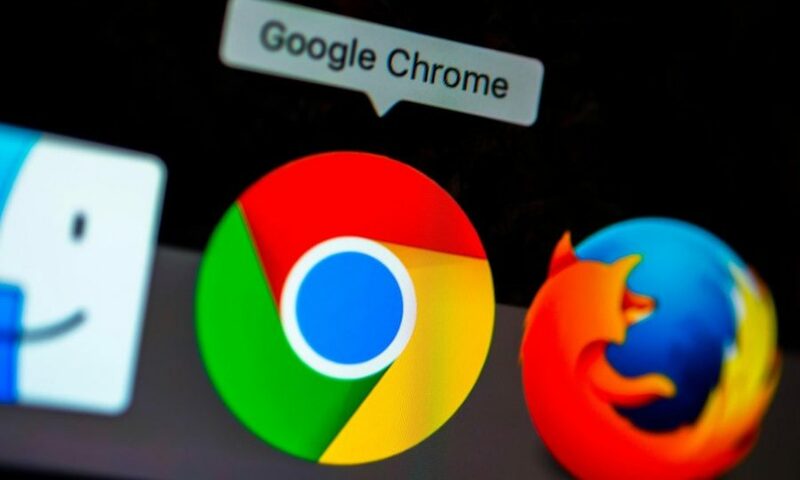 We’d recommend focusing efforts on driving traffic to mobile users and use tablet for experimentation. Search: we’ve seen Search become increasingly important to branded content campaigns, and with these results (1.33 attention minutes, i.e. 91% above benchmarks), there’s no difference. Social: over the past few months, we’ve seen social go from driving low quality traffic, to pretty darn good. Our hypothesis for this is Facebook cutting off traffic to click bait, so the best quality content (branded or otherwise) is getting more attention. 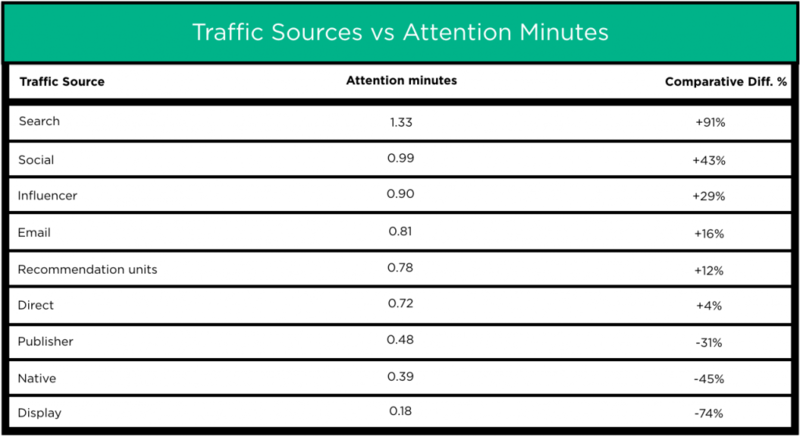 Social accounted for the second highest average attention minutes (0.99 / 43% above benchmarks ) of all traffic sources to branded content for beauty campaigns, whereby Facebook accounted for 1.03 attention minutes and Pinterest for 0.85 attention minutes. Influencer: influencers tend to rank highly in our traffic studies and continues to do so for the beauty industry (0.9 attention minutes / 29% above benchmarks). Email newsletters: email newsletters are a great add-on to your campaigns, as they inject quality (0.81 attention minutes / 16% above benchmarks). Recommendation units: recommendation units drive quality traffic (12% above benchmarks) as well as scale. Publisher (their own content): are below benchmarks (0.48 attention minutes / 31% below benchmarks) for the beauty industry, but we’ve also seen a bunch of examples showing that if you’re doing this well, you can really get some great ROI. Display: unsurprisingly, display has great reach, but perform badly when it comes to attention, i.e. quality traffic (0.18 attention minutes / 74% below benchmarks). Facebook is the current primary platform for social engagement in beauty campaigns. It accounted for 94% of total shares and 100% in total earned impressions as organic traffic. Pinterest accounted for the other social shares (6%), since there are more photos used in beauty campaigns compared with other sectors. Invest in articles and lists as a content formats, as they perform well above the benchmark. Ensure competitors’ ads aren’t showing on your branded content. 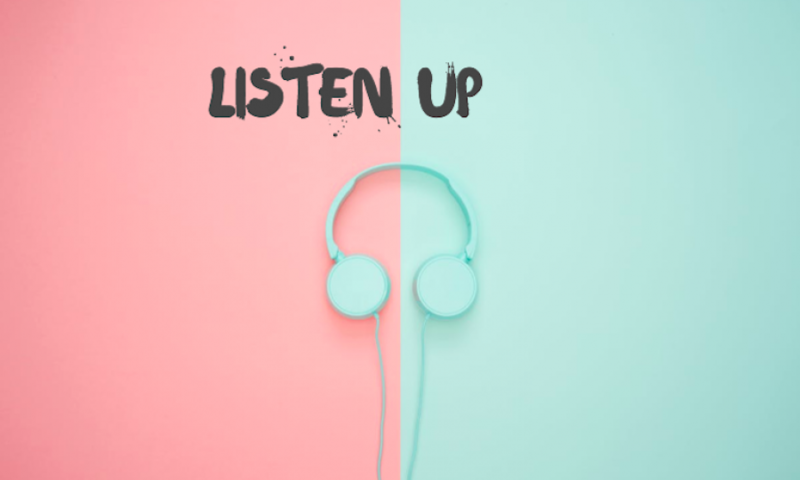 Be wary about autoplay videos before a headline, because the videos might increase loading time and drive people away from scrolling down for more content. Plan for SEO. Think about the headline, will it draw searchers in, are you using the right terms. If you arrive from search what would you want to do? What would you want to do next? ^ You might be asking, ‘will I rank? It’s paid content’. We still see paid content ranking, as from Google’s perspective, if it’s the best content for that search term they will show it. Here are some more tips, on planning for SEO for Branded Content. Focus on what happens beyond the click. Distribute to hyper-targeted, engaged audiences. Don’t just optimize towards the cheapest clicks. Facebook drives the highest earned impressions and shares, whilst together with Pinterest, also drives the highest average attention of any social platform, so we recommend focusing your efforts here. Put effort into scaling – ask partners to include this as a distribution source in your upcoming campaigns. Use as a tool to improve the overall quality of your campaigns. More email newsletter tips here. Make sure the influencer links through to your other content. Because, if someone clicks, they are going to be valuable to your business. More influencer marketing tips here and here. Check out Taboola and OutBrain, as both can drive excellent results. Always link through to the brands content from the publishers content, i.e. if it’s an article, you’d want to make sure you have call-to-actions in the beginning, middle, and end. Think about incorporating publisher direct into your distribution mix, if you haven’t already. More on that here. Before distributing across any of your channels, make sure you tag the content, so you can monitor performance. Not all channels/units perform equally. Rimmel + Refinery29: partnered to create four beauty looks inspired by the city of Chicago. Some amazing bold looks, strong imagery and well written copy. We also love the ‘shop the look’ aspect of this piece, as you scroll down. 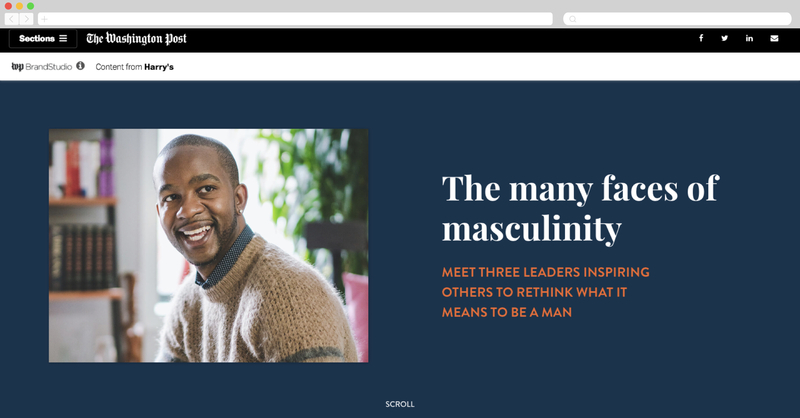 Harry’s + Washington Post: created a poignant piece about men challenging traditional notions of what it means to be a man. Clinique + GQ: In 2018, our shared cultural definition of masculinity is in flux. In this piece, GQ + Clinique For Men have investigated how men’s grooming habits have moved on. Having conducted an in-depth YouGov survey and surveyed GQ’s readers, they’ve come up with some really interesting results. We love data driven content here at Nudge. Clinique + Refinery29: In this piece, they make the case for why you need a moisturizer on your bathroom shelf. It’s educational + lifts both product and brand nicely with fun gifs throughout. Only thing we’d have changed: more product links. When It Comes to Personal Care Products, Is Natural Always Better? J&J + NYTimes: Debunks four myths about ingredients in your hair, skin and bath products. Because of the sticky header, the branding follows you as you scroll, which is a nice touch. Sephora + MindBodyGreen: Takes us through how adaptogenic plants helps revitalize stressed-out skin, by educating the reader around 5 different products that can help them with just that. The article ends with the reader being able to shop the products they’ve just read about, which is great. BVLGARI + The Zoe Report: Shares four key styling tricks for women, to communicate confidence. 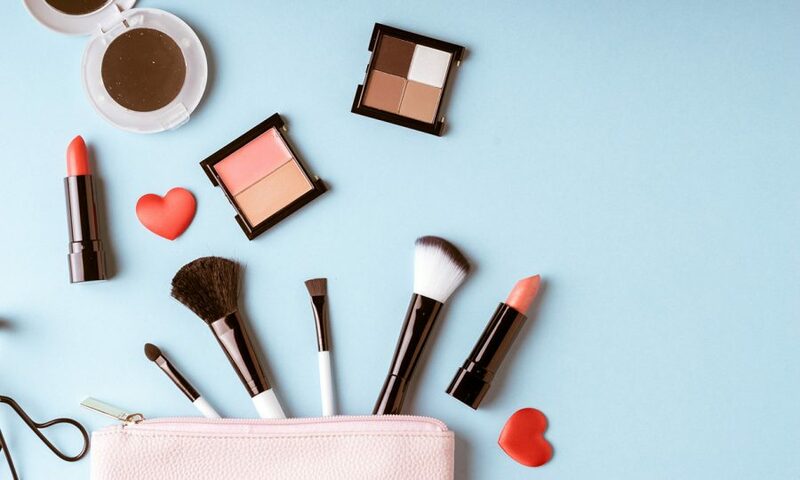 Under each tip, you’re able to shop the products associated. Great story + format with strong call to actions. Gillette + Fatherly: Shares 10 easy tips that require minimal time and serve up maximal results. We liked it because it cuts through to their intended key demographic effectively, it’s straight-forward and consistently links through to Gillette’s own site. TRESemmé + HuffPo: Have created a simple, yet effective piece of content, which uses a list format (which we know 13% above benchmarks for Beauty), on how women can rescue their straw-like hair strands and regain that ‘just walked out of the salon’ look. Walgreens + Cosmopolitan: Cosmopolitan’s Senior Beauty Editor Brooke Shunatona shopped the aisles of Walgreens, to show their readers that Walgreens have a wealth of affordable, quality products, and went on to share her spring look, step by step (product by product – which the reader can buy under each step by the way). Walgreens brand + product nicely features throughout.